100 Words, 100 Days: Day 50. 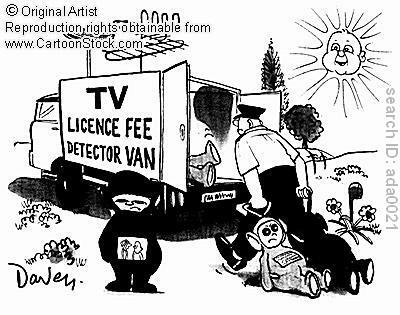 On Television Licences. | What I think About When I Think About Writing. This entry was posted in 100 Days, 100 Words, Television and tagged Arts, Ashes to Ashes, Bill Nighy, Broadcast, Doctor Who, Ireland, Late Late Show, Life on Mars, Merlin, Michael Gambon, Pat Shortt, Raidió Teilifís Éireann, Ralph Fiennes, Ryan Tubridy, Television, Television licence, The Hour. Bookmark the permalink. And what will you be watching in jail, darling? It also funds RTE radio, TnaG, RTE Lyric FM and what is defined as “Non-RTE activities”. The BBC gets all the revenue generated by the UK licence, and draws that revenue from a population approximately 10 times that of the Republic. All told, our licence fee is quite well managed. The big question is – Does RTE really need to be running 2 TV channels and multiple national Radio channels? There was a case – in the days pre-satellite and when there was low-cable-uptake – for having diverse channels, but that day has passed and it ought to be re-examined. I suppose I’m more annoyed that I must pay the fee just before I head off on holiday. And on this side of the big water we complain about commercials. Sigh. Congratulations on reaching the half-way point in your 100 days project. Have you considered reenlisting once it’s done? This has been good for you and for your blog! I’ve been toying with 200 Words, 100 Days and 50 Concepts. What do you think?